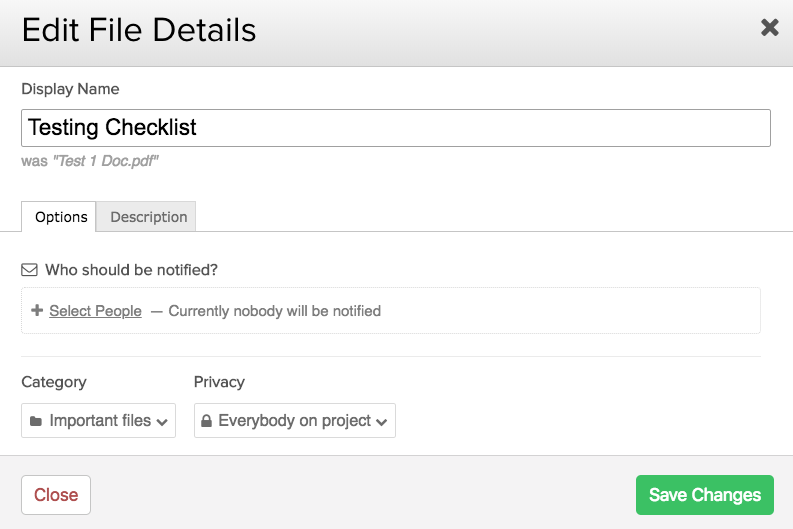 Within Teamwork Projects, you can change the category of a file at any time. In the Files area of your project, click the options (down arrow) to the far right of the file you want to update. Note: The option to edit file details is not available when a file is locked for editing. At the bottom of the edit task details modal, you can choose a new category from the Category dropdown. You also have an option to create a new category here. 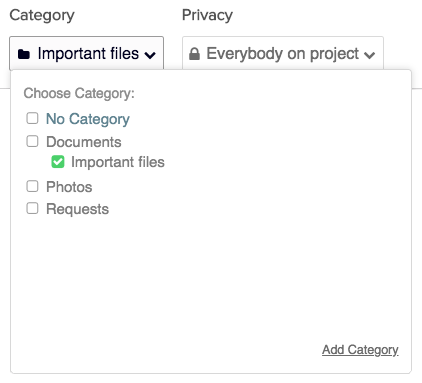 You can change a project's category by dragging it to a different category in the Categories pane on the left in the Files area. Hover over a file to reveal the move icon to the left of the file name. Click and drag the file to the new category. You can also select multiple files to move to another category. Click the options (three dots) button in the top right and choose Select Multiple Files from the dropdown. Alternatively, press m on your keyboard. Using the checkboxes, select the files you want to move, then drag them to the new category. You can also use the orange Move or Copy button near the top to select a new category.